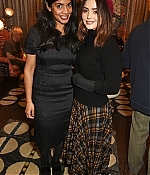 On March 26, Jenna Coleman attended the ‘Lobby Hero‘ Broadway Opening Night After Party at The Helen Hayes Theatre on March 26, 2018 in New York City. During the after-party Jenna posed with Dianna Agron and Bel Powley. Today Jenna attended Miu Miu Autumn/Winter 2017 Fashion Show at the Paris Fashion Week. I have added images of her arriving to the show and inside the show, enjoy viewing them! 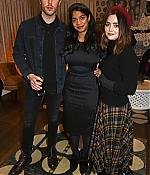 Back on December 21 Jenna attended a VIP Screening of Sing Street with Victoria co star Tom Hughes, I have added photos to our gallery. Enjoy! 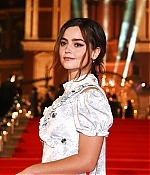 Jenna attended London Fashion Awards tonight at the Royal Albert Hall in London. I have added HQ images to the gallery thanks to Belle, enjoy! 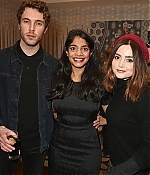 I’ve added photos of Jenna at the L’Orla SS17 Resort Collection Launch At Ritz Hotel which was held at the Ritz Hotel, Jenna is looking stunning as always. Enjoy viewing the photos! 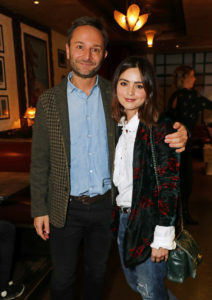 Jenna attended the Kent & Curwen Dinner With Mr Porter which was a fashion event held in David Beckham’s honour, sadly there isn’t much photos but enjoy the three photos I’ve uploaded to our gallery! I’ve added photos of Jenna in Cannes today promoting Victoria, looking stunning as always! enjoy viewing the photos!